The Mekong delta is a flat, low-lying area, with a network of innumerable crisscrossing river tributaries and canals. As bridges are few and far between, many of the local residents, even with their ubiquitous motor cycles, have to travel long distances before being able to go to the other side of the river. Many still rely on ferries and small boats as means of transport. 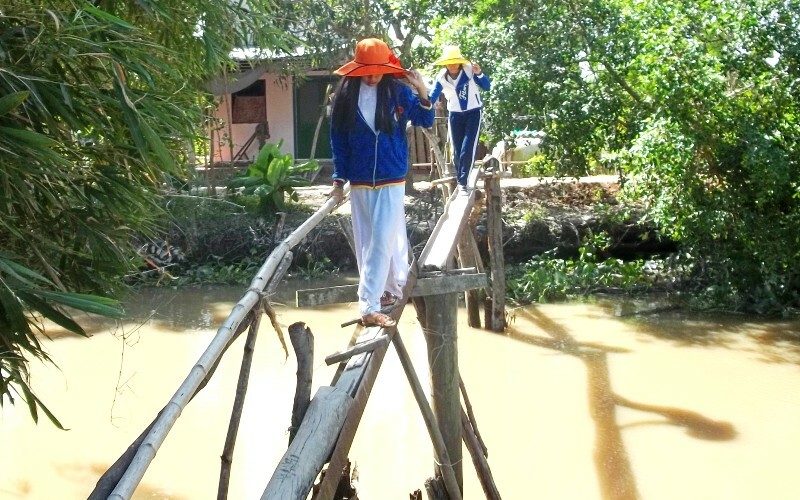 To cross small waterways the local people build tens of thousands of ‘monkey bridges’ which are flimsy structures normally made up of scrap timber and bamboo poles. They can only support light foot traffic. They are also the cause of frequent death by drowning as people, especially young children and frail elderly, can easily fall into the water when they use these bridges. 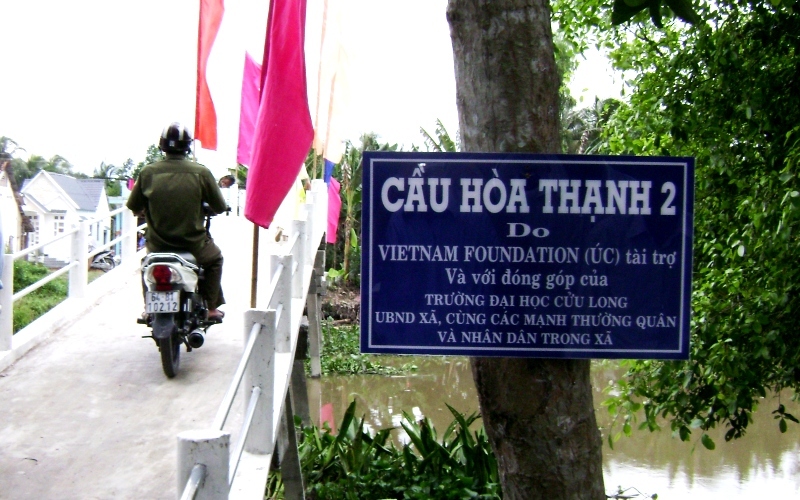 To help improve transport and provide safety for these people, Vietnam Foundation helped build a 42m long x 2m wide concrete bridge at Hòa Thạnh hamlet, Thạnh Quới village, Long Hồ district, Vĩnh Long province. 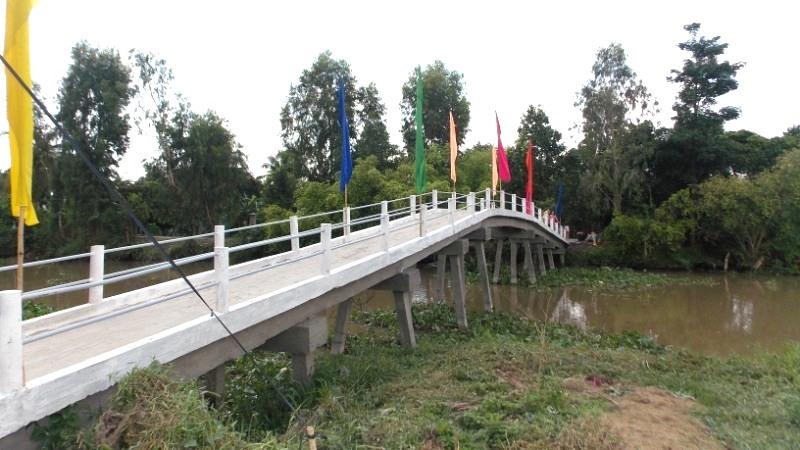 The bridge was designed by staff and students at Mekong University. We contributed VND 215 M (about 10 000 AUD) toward the total cost of VND 417M. 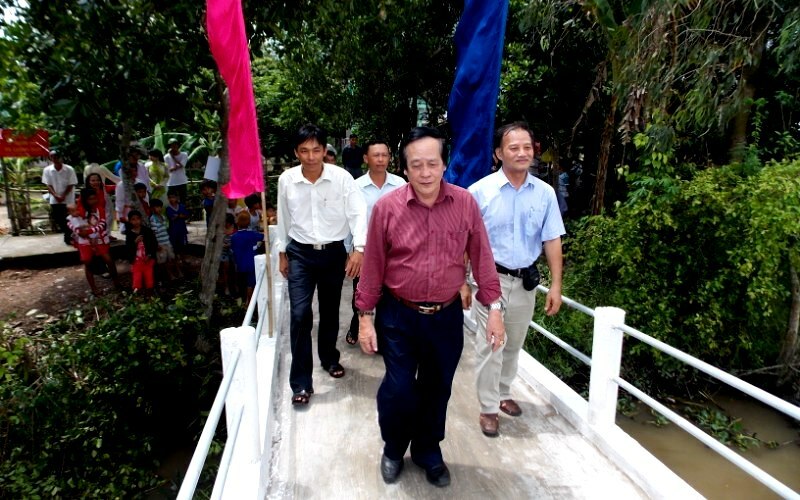 Mekong University and the local population contributed the remaining cost. 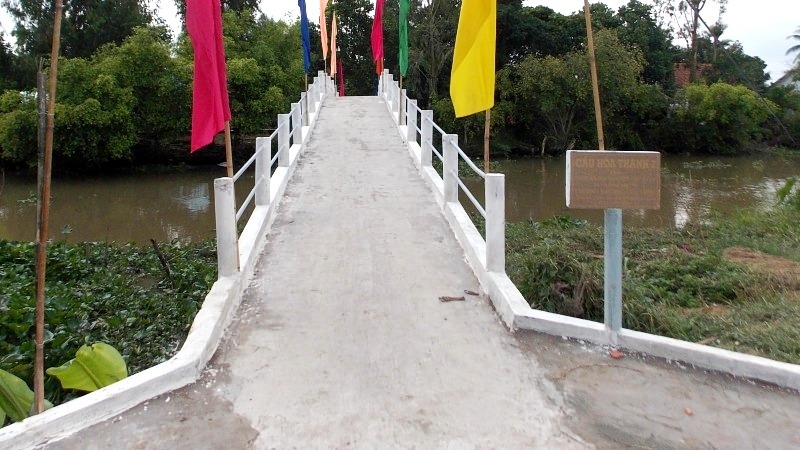 The bridge was opened for traffic on 9 July 2013. Our representative in Vietnam, Prof Nguyễn Thiện Tống joined staff of Mekong University and local people in the inauguration walk.